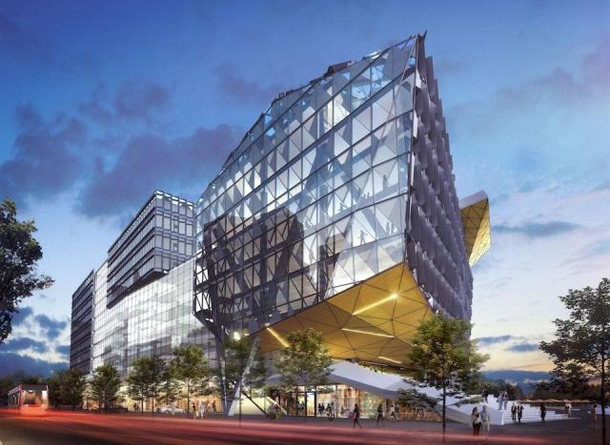 UrbanToronto has catalogued a number of buildings that are in the planning stages, so it will be interesting to see how the designs change as they move through the approval process. It’s hard to believe that there are still spaces in the city available to build these towers – although of course many of them are replacing old buildings that have been demolished, such as The One at Yonge and Bloor. Interestingly enough, demolition there has started but according to the article, the final plans have yet to be approved by the city. The article is worth checking out as there are a number of unusual looking buildings, such as the O shaped building proposed for Mercer Street, the building at 100 Davenport with its undulations and one of the towers at Yonge and Eglinton with some architectural detail. It’s also great to see that some of the proposals are incorporating heritage buildings, such as the building at 484 Yonge which will include a clock tower and a proposal for 19 Duncan Street which will include a heritage warehouse.